bThis goal of this guide is to help new players progress through the first three arena levels in Clash Royale as quickly as possible. Intermediate and advanced players can take a look at this Clash Royale guide. 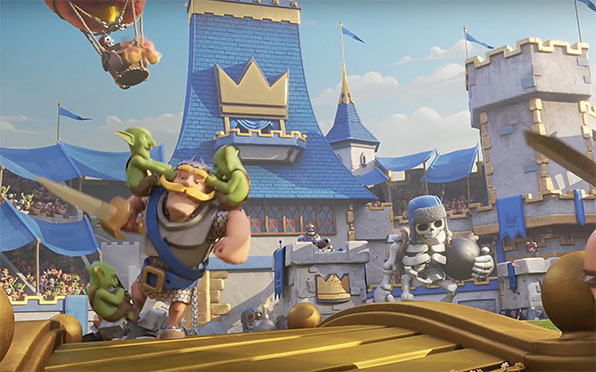 The first three arenas are Goblin Stadium (0 to 400 trophies), Bone Pit (400 to 800 trophies) and Barbarian Bowl (800 to 1100 trophies). Following this guide you can easily get through these levels in less than a week playing a couple of hours a day, that is without spending any money on the game. If you buy gems you can race through these first 3 arenas even quicker. Let’s start with building the deck. At arena 1 to 3 you will most likely have very few cards so you just have to do the best out of what you have. I will just give general deck building guidelines here, instead of writing about specific decks. First there are different types of roles for cards in Clash Royale, with cards usually being able to fill several roles. I’ve defined the roles used in the guides on this site below. The cards listed are the best cards from arena 1 to 3 that fill the particular role. 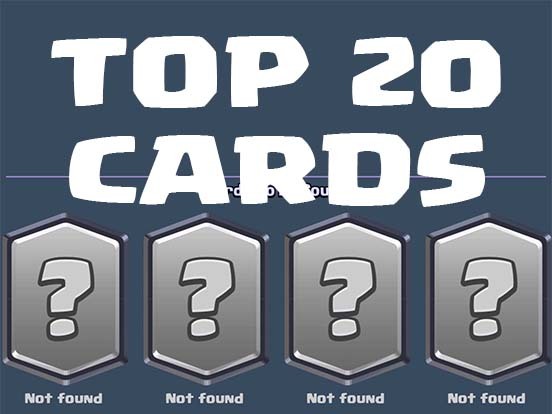 There are lots of cards not listed here, those cards not listed I consider bad and I wouldn’t use them in my deck if I could avoid it. Tank cards give you one troop or defensive building with high HP, we’re talking 800 and above. These are necessary to tank damage and protect your lower HP troops. Single DPS cards give you troops or buildings that have high single target damage. These are important for taking down your opponents tanks and towers. The following cards fill this role. Splash cards inflict splash damage to large hordes or your opponent’s troops. This role can be filled by both spells and troops. These are cards that either give you troops, spells or buildings that can target air units. Especially at higher arena levels a lot of flying troops are used, and it’s important to have cards to deal with that. These cards give you troops that fly, which is really nice as only air target cards can hit them. The advantage with spell cards is that you can chose to cast them anywhere on the map, so they are great to deal with troublesome situations quickly. These cards give you defensive buildings you use to defend your towers, some can also be used to push in your lane. 2 tank, 2 single DPS, 3 splash, 3 air target, 1 flying, 1 spell and 1 defensive. Yes, I know this ads up to more than 8 cards, the reason being that many cards in Clash Royale will fill several roles. For instance arrows is both a spell and a splash card and the prince is both a tank and a single DPS card. The cards filling the different roles are listed in order of how good I consider them to be. You probably won’t have the best cards for every role, but that’s ok, even with a crappy deck you can beat most players as long as your strategy is good. People will also argue that card synergy is much more important than the cards you have. I agree that building decks centred around a certain strategy is important for higher arena levels, but for arena 1 to 3 just picking good cards for the different roles works best. There is no need to waste time and money getting the perfect cards for your deck before you reach higher levels. My favourite Clash Royale arena 3 deck. Two tanks: Prince and Baby Dragon. Two single DPS: Prince and Barbarians. Four splash: Arrows, Baby Dragon, Bomber and Skeleton Army. Three air target: Baby Dragon, Spear Goblins and Goblin Hut. As you can see it follows the formula pretty well and it works really good at lower arena levels. This is what I’d consider a standard deck where you react to what your opponent is doing and push with the prince when you have the chance. Now on to some tips on how to play the actual game. 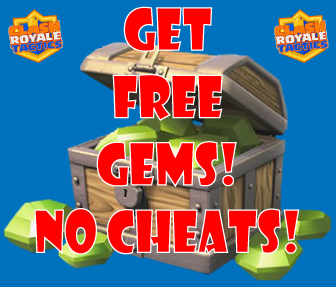 Clash Royale beginner game tactics. Think before playing any card. Clash Royale is a very exciting game, so it’s often easy to get so excited that you just start throwing cards without thinking. Try to just force yourself to take a second to think about why you are doing what you are doing before doing it. By consciously doing this you will end up playing much better. Especially near the end of the game when things are getting hectic it’s important to keep doing this, even if elixir is building up faster then, there is still time to think. React to your opponents move. I almost always wait until I see what my opponent does before throwing down any cards. The idea is that you want to react to what he is doing, if he throws a single DPS card, throw your skeleton army at it, if he throws a card giving a lot of smaller troops, throw your splash damage cards at them. Try to make the fight near your tower so it can support you, but not so near that your opponent actually damages your tower. Make sure you only spend elixir on cards that do something useful for you. Don’t throw down archers that will just run in and get killed without doing any damage. Some cards can be played alone, learn with ones they are. The prince and barbarians for instance are fine to throw alone, they can destroy an enemy shower by themselves. Always keep a splash card ready. It’s a good idea to always keep a splash card ready in case your opponent is approaching with a large horde of troops. Killing troops from several cards with one of yours gives you great value. Sometimes let your tower take damage. You don’t need to counter everything your opponent throws at you. Towers are strong and can deal with most troops by themselves, and sometimes that is the correct thing to do. 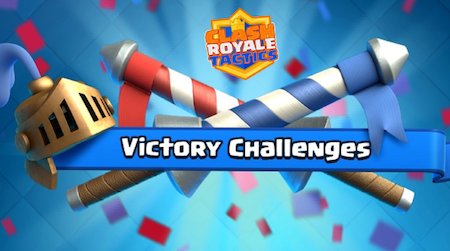 Playing cards to counter enemy troops that will die to a few hits of your tower is a huge waste, that elixir is much better spent on pushing your opponent’s tower. Keep countering your opponent and slowly push the game to your advantage. Don’t make risky plays when you are ahead, this is very important. Winning with one, two or three crowns doesn’t really matter that much, play safe and secure the victory when you can. Also don’t get upset when you get on a loosing streak, it happens to everyone. Please let me know if you have any other good advice for players struggling getting to arena 4. Clash Royale is a very complex game and I’m sure this guide far from cover all there is to say about the topic. Just started yesterday n learning basics. From your above basic deck i dont have barbarian, baby dragon, Hut n Skelton army. i have giant, muskeeter, valkeyrie, mini Pekka, bomber, arrows, fireball n all basic cards obtained from training. 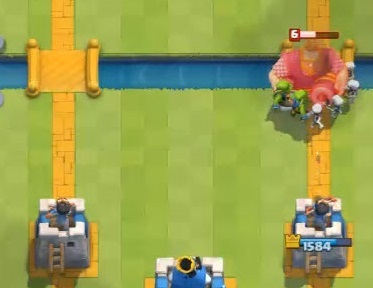 Giant and musketeer are good now after recent patch, placing musketeer behind the tanks giant. Then I’d use Valkyrie and Fireball as well. That would make for a quite aggressive deck, but it should work well in lower arenas. Fireball deals with air/splash instead of the baby dragon, Valkyrie the splash damage/tank. is this fine for arena 1? Actually i got confused when to play which card or which 2 cards combo work together like you said.. giant n Muskeeter. What should be approach or game play? Should i always wait for opponant to drop first? And what to play against particular opponant drop? Also i request you to tell me… What’s best way to kill opponant cards like Giant, Prince, baby dragon n other common drops. As a new player i dont know which creature is counter of which card? Infact you can make a new post to help newbies like me in which you can point out how to deal with every opponant drop? Prince and Giant are best countered by Tombstone, in your deck spear goblin and musketeer behind tower could work. I might make a post about that soon. In between i also got few cards like Witch, lightening, Tombstone, Bomb tower, Valk, minions, mini pekka, Skelton, goblins. I still dont have popular cards like baby dragon or goblin barrel or barbarian as i just entered arena 3. Now above deck not working efficiently in arena 3 n i want to upgrade it to clear arena 3. Even though you don’t have all the cards, look under replacements and see if that could work. I’m thinking that deck should work out pretty well, how’s it going?